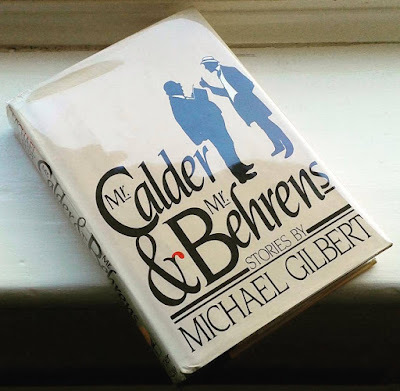 An American first edition of the second and final Calder and Behrens collection, Mr. Calder & Mr. Behrens, published by Harper & Row in 1982 (under a dust jacket designed by One + One Studio). I wrote about the British first edition of the collection a few years ago, but I couldn't resist this copy of the US first when I came across it for the reason that it's been signed and inscribed ("With best wishes from the author") on the half-title page. 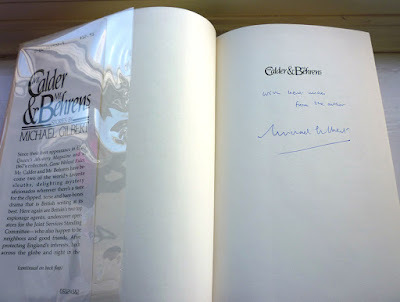 Signed Michael Gilbert books are in relatively plentiful supply – there are around a hundred such items on AbeBooks alone – but signed Michael Gilbert books starring Calder and Behrens are somewhat less so – just three on AbeBooks at present, an American and two British firsts of Mr. Calder & Mr. Behrens – and still less, I'd wager, signed and inscribed ones. Which for a Calder and Behrens fan and collector of signed and especially inscribed books like myself, makes this copy quite a splendid thing to own. The Murder of Diana Devon and Other Mysteries, a collection of Michael Gilbert stories published posthumously by Robert Hale in 2009 (dust jacket artwork by Hale mainstay Derek Colligan). 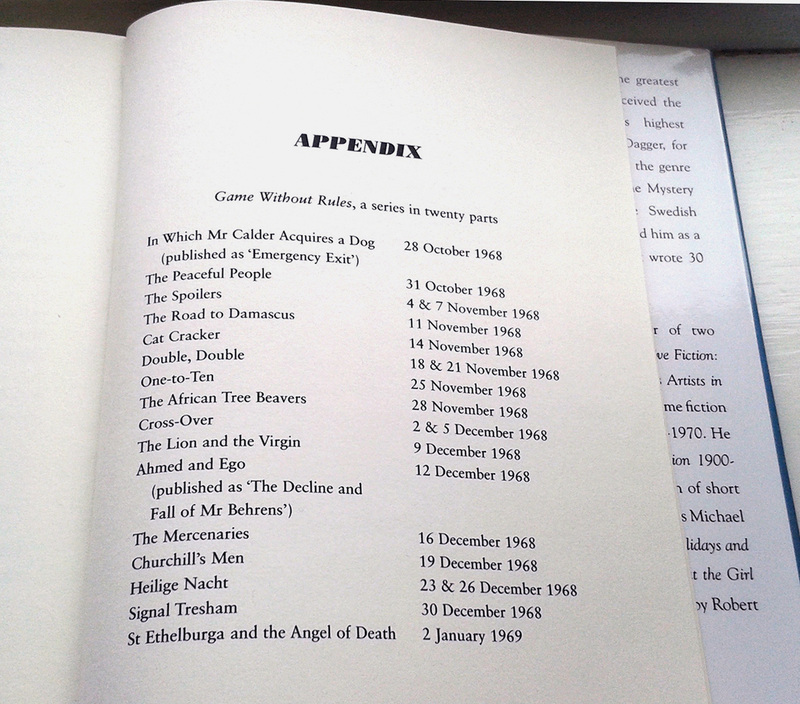 Besides the Calder and Behrens short stories collected in Game Without Rules and Mr. Calder & Mr. Behrens, Gilbert wrote 16 radio plays starring his secret agents which were broadcast under the overarching title Game Without Rules on BBC Radio 2 in autumn/winter 1968/9 across 20 episodes (some of the plays were split over two nights). 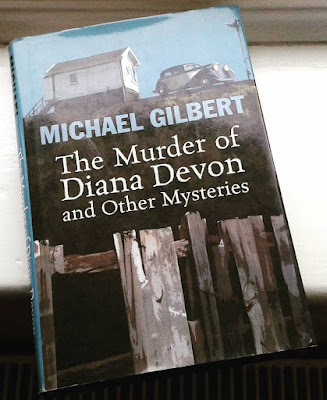 Most of them were either based on or have similarities with the stories in the two Calder and Behrens collections, but two of them – "Churchill's Men" and "St Ethelburga and the Angel of Death" – only ever appeared as plays, and it's these that are included in The Murder of Diana Devon. Of the two, "St Ethelburga..." is the better story, seeing Calder inserted into a boarding school in the guise of a teacher in order to determine which of the other teachers might be Dr. Konrad Fleischmann, alias the Nazi Angel of Death, director of Hitler's extermination programme, who has supposedly been in hiding in Britan since the end of the war. In traditional Calder and Behrens fashion, while Calder works away at the problem from his end, probing each staff member whilst trying to maintain his cover (with the assistance of two willing pupils), Behrens attacks the opposite end, working to unearth details of Fleischmann's life before he became a Nazi. There's a nice twist in the tale, one which seems to have its basis in the anecdote which follows the story, "The Great German Spy Hunt", in which Gilbert relates an episode from his own boyhood boarding school days. As for "Churchill's Men", that concerns Calder and Behrens' attempts to prevent a number of active overseas agents being exposed via a civil libel action in court – a setting Gilbert, as a lawyer, knew a fair bit about. 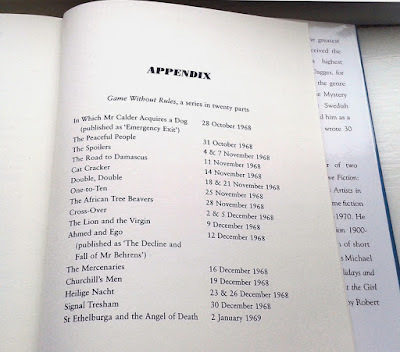 While most of the Calder and Behrens tales can be found in Game Without Rules and Mr. Calder & Mr. Behrens – and the two available radio plays in The Murder of Diana Devon – there is one other Calder and Behrens story that doesn't appear in any of those books. I shall take a look at that story in a separate post. Linked in Friday's Forgotten Books, 3/2/17. Also: I think many of us would appreciate it if you could use your contacts at the BBC to get those C&B radio plays aired again on Radio 4 Extra. Happy 10th birthday. That is the perfect book to celebrate with. Just gorgeous. I haven't read any Calder and Behrens stories, I will have to find a copy of the first book. Thanks both. BG, I have been wondering whether the original recordings still exist. I'll have to have a think and see if there's anyone I can ask. I did get a copy of Game Without Rules and have read the first three stories and I am loving it. So glad I read about these books here. You truly have a remarkable skill for tracking down signed copies. 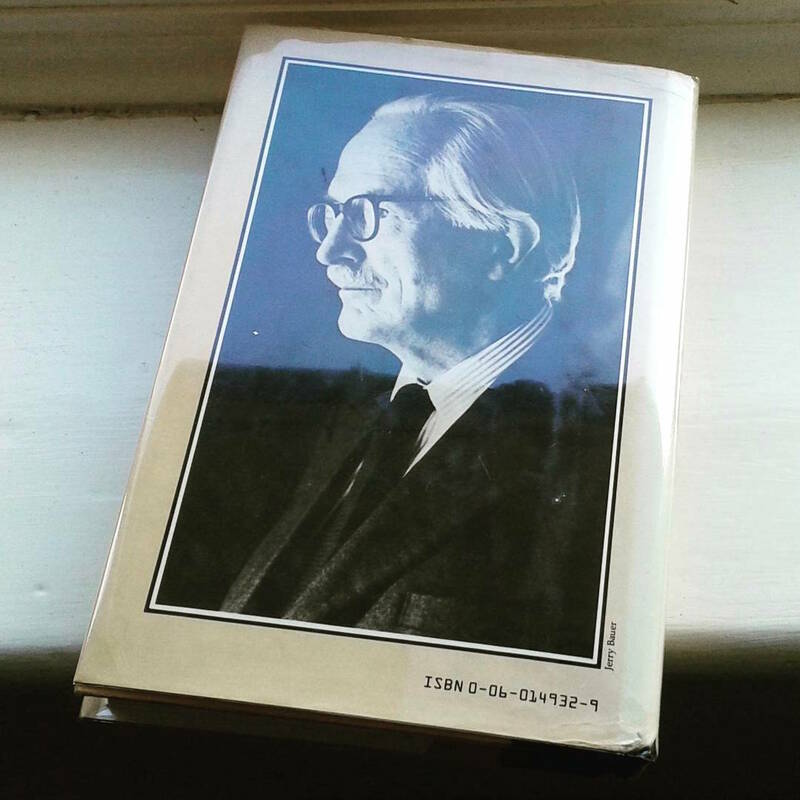 And here I thought I'd done well finding an unsigned hardback of Mr. C & Mr. B for $3. That's a good price, Matt, so I'd say you definitely did well there!